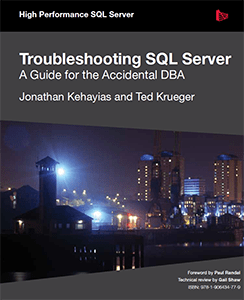 Three SQL Server MVPs provide fascinating insight into the most common SQL Server problems, why they occur, and how they can be diagnosed using tools such as Performance Monitor, Dynamic Management Views and server-side tracing. The focus is on practical solutions for removing root causes of these problems, rather than “papering over the cracks”. Accidentally-lost data – “oops, wrong database!” Let’s hope you’ve got backups. This eBook is now fully accessible for use with screen readers and assistive plug-ins for those with visual impairment.